A headboard can provide the perfect finish to a new bed, or the ideal way to bring a new lease of life to an older bed. MyNextMattress has a huge selection of headboards, available in a range of styles, colours and materials. Whether you’re looking for a luxurious fabric headboard or a daring leather headboard, you’re sure to find the ideal item to complement your bedroom décor amongst our extensive collection. 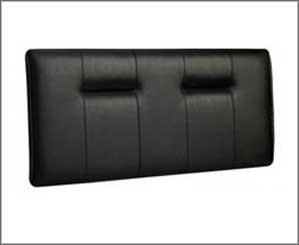 These headboards have been selected for their durability and comfort for the head and back which is provided through deep padding. We offer the fastest delivery on these items, and it is completely free of charge! All headboards are made to fit the same dimensions, and will fit any same size bed. 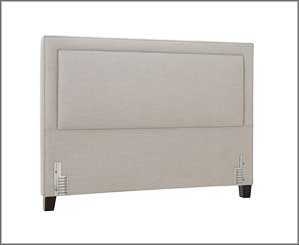 Please click on any category below, or refine your search using the tool bar on the left to find your ideal headboard. If you have any questions, we’d be happy to help - just call us on 0116 274 75 45. Our extensive range of fabric headboards are available in a choice of colours and fabric types. We have selected the very finest from our favourite British brands, and all can be delivered free of charge straight to your front door. The fabric headboard is a classic choice, and will perfectly complement almost any décor. We pride ourselves on our handpicked collection which offers comfort, durability and value for money. Whether you are looking for another level of luxury for your new bed, or want to brighten up your bedroom with a fresh headboard in a bright new colour, we have options to suit all requirements, and offer the very best prices too! Refine your options by choosing by colour, price, size and many more options. Remember, our handy helpers Michael and Sarah will be on hand to offer advice and tips throughout - look out for information on our fantastic guarantees, providing you with peace of mind that you will be able to enjoy your headboard for years to come. Leather is widely recognised as a high quality, durable material and leather headboards have been popular for a long time, but never more so than in recent years. With such a range of designs, colours and styles, a leather headboard is a great way to add that final flourish to your new bed set, or to simply brighten up a room with a fresh new model. 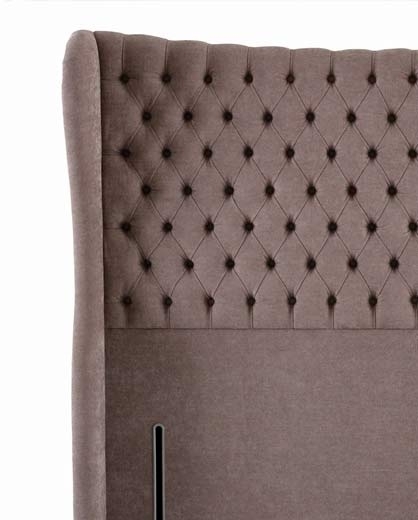 Our selection of headboards are all made to the very highest standards. All are built to fit standard UK bed dimensions and will fit any divan bed base. If you find a design you love, bear in mind that some of our headboards are also available as a full bedstead. Please click on any item for more information such as dimensions, finishes, materials and guarantees. If you have any further questions, our expert team are fully trained in our full product range and are always happy to help - just call 0116 274 75 45 or contact us online. Metal Headboards can offer a timeless feel to the bedroom or they can provide a modern twist on a tired-looking bed. 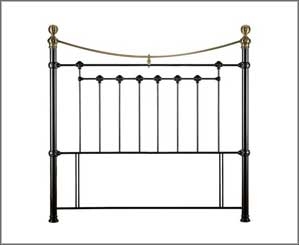 Our range of metal headboards are all designed to fit a standard UK sized bed, and will be delivered free of charge! Our metal headboard collection features models from brands such as Bentley Designs, Julian Bowen, Serene Furnishings and much more. We select the headboards which offer the very best value for money without compromising on quality. Browse through our ever-growing collection of headboards to select by colour, material and price amongst other settings. 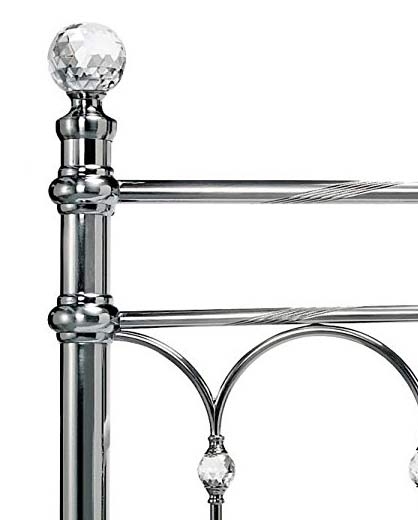 Choose from ornate designs with beautiful crystal finishes, abstract patterns or sleek, simple lines to find the ideal metal headboard for your space. This sturdy material is great for long term use as it is particularly durable and resistant to scratches. 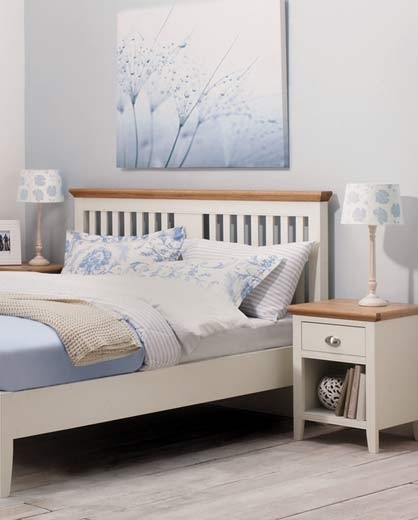 Remember, we provide free delivery throughout the UK and we pride ourselves on offering the best prices around, so why not spruce up your bedroom with a new headboard today? Wooden headboards offer a timeless feel to a bedroom. The range of modern designs we offer at MyNextMattress take this solid, durable and warm material and transform it into a stylish flourish any bed would be proud to host. 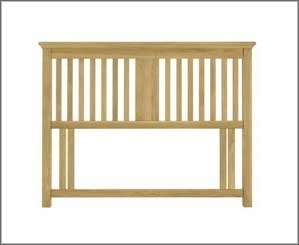 Our wooden headboards are sourced from leading British designer Bentley Designs, who are recognised for their high standards of craftsmanship and use of fine, rich timbers. We can offer wooden headboards in oak, pine and other woods of different colours and designs which provide a strong, striking natural look. They have all been handpicked by our expert team as we believe that they provide the best in style, quality and value for money. You are able to refine your selection according to price, size and other details which are important to you. Our headboards are all designed to fit any standard UK size. Look out for our helpful on screen helpers, Michael and Sarah. They will be offering advice and tips throughout. Stunning Fabric Options from £68! 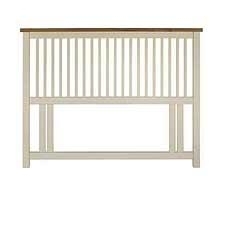 Metal Headboard Range from £35!